Pocono Valley offers a unique opportunity to bring your entire group together in a fun, breathtaking environment. At Pocono Valley, your group is important. Pocono Valley's goal is to offer groups a top facility with engaging activities, delicious food and experienced staff to ensure every event is a success. 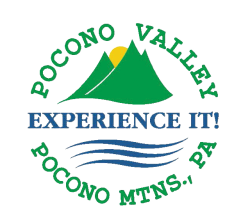 Pocono Valley is a private facility that is not open to the public. It offers multiple packages to accommodate all budgets. Facilities include, but are not limited to: lakeside DJ, basketball courts, Odyssey course, golf driving range, 35-foot giant swing, beach volleyball, softball fields, two heated Olympic-size pools, hamster balls, pickleball, six-station inflatable zone, treetop adventure park, drop zone, kayaks and pedal boats, two 900-foot zip lines over Lake Akiba, fishing and much more!